The vending staff continually strives to provide you with a broad variety of beverages and fresh snacks. Beverages include Pepsi, Ocean Spray juices, Aquafina water and Gatorade products. Snacks include a variety of chips, granola bars, assorted crackers, nuts, candy, cookies and other snack items. Enjoy a refreshing snack today! 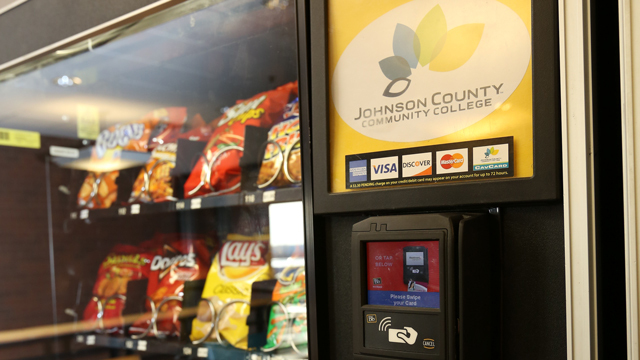 On the rare occasion you may need to obtain a refund from a vending machine, please call 913-469-8500, ext. 3142. Any refund over $2 must be approved by a manager.